Dawnbase just reached a fantastic milestone: Our guides have received more than one million views! To celebrate this success, we're rewarding ten of our best guide writers — those who have consistently written and updated in-depth, high scoring guides. We'll be giving you both in-game rewards and physical swag! The winners are RavenousReptar, Supportive_Magic, asylumkonata, Danishperfection, Kuzon, Grommash, JesterdayDeLuder, Krashy, hellopanda, and DocteurV. Each of you can send Sacrilege a PM with details about which champion and t-shirt you want, t-shirt size information (medium, large, etc. ), and an address to send your t-shirt to. Thanks for helping make Dawnbase the number one Infinite Crisis community! Congratulations Sacrilege and those amazing guide writers...keep up the great work! Wow how cool! 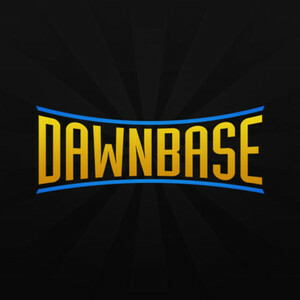 Thanks everyone for helping Dawnbase thrive. Four more years! that's awesome. Grats guys and keep them coming. Great job Dawnbase and gratz to the guide writers! We're still waiting for some of the winners to choose their rewards, but those of you who've PMed me so far have had your requests passed on and you should be getting your goodies soon! I would pay $$ for the Atomic GL shirt in a Medium. Same goes for Mecha Supes. Supposedly won those but they were never delivered. Nice job guys. I'll have to put a few more guides together in case anything like this gets run again!